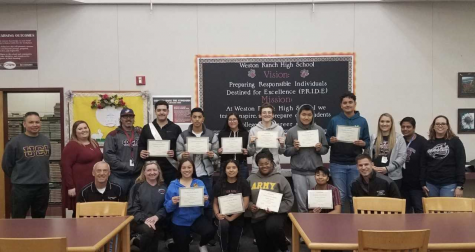 This Friday, November 16, WRHS will honor our students who excelled both academically and responsibly. All students will gather in the gymnasium after the second period to honor our Cougars who achieved high GPAs and those Cougars who had perfect attendance. Calling the awards assembly, “Roaring Cougars,” a title created by the Renaissance Team, all students who met the requirements will be recognized for their outstanding accomplishments in the classroom and on campus. No words are more real than those words. We want to say big thank you to all students because you demonstrate courage, resilience, and drive. Our future looks bright at WRHS, and we have many reasons to be thankful. Way to go, students!